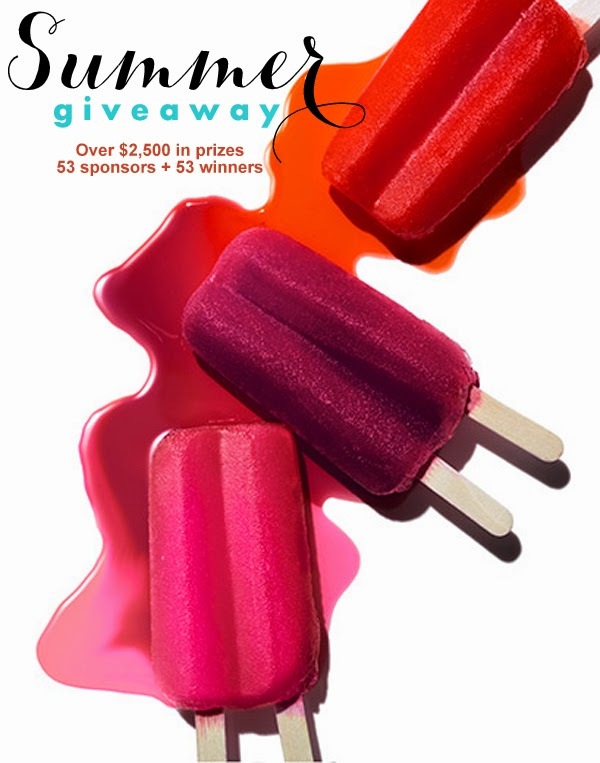 Sadly, summer is rapidly coming to a close, but not without some fanfare from Banner Events and 52 of our favorite companies! We're celebrating with an end of summer giveaway that includes prizes worth over $2500. There will be 53 winners! Enter the contest via the Rafflecopter widget at the end of this post. The contest will start on Monday, August 11, 2014 at 12:00 a.m. EST end on Friday, August 15, 2014 at 11:59 p.m. EST. Winners will be announced via the Rafflecopter widget on this post within 24 hours of the conclusion of the contest and will be emailed using the email address associated with your Rafflecopter entry. Winners have 48 hours to claim their prize once emails have been sent. Banner Events (that's me!) is donating: Online event planning services to include an inspiration board based on 1 party theme (winner's choice) with ideas for: decor, food, drink, desserts, favors, entertainment, & activity/games plus a suggested vendor list with contact information & links. ($75 value). Banner Events is an event planning and styling company obsessed with the little details that make an ordinary event extraordinary! We strive to pair individuality and creativity with well-executed details to bring flair and fun to your event. We worry about all of the details—big and small—so you can relax and be a guest at your own party. While we offer a variety of services, our specialties are boutique style children’s parties, wedding/bridal showers & dessert tables. Frog Prince Cake & Cookie Design is donating: $36 toward custom cookies/shipping. Requirements/Restrictions: US only. Must be used within one year of winning. Non-transferable. Please allow 6 weeks notice when placing your order. 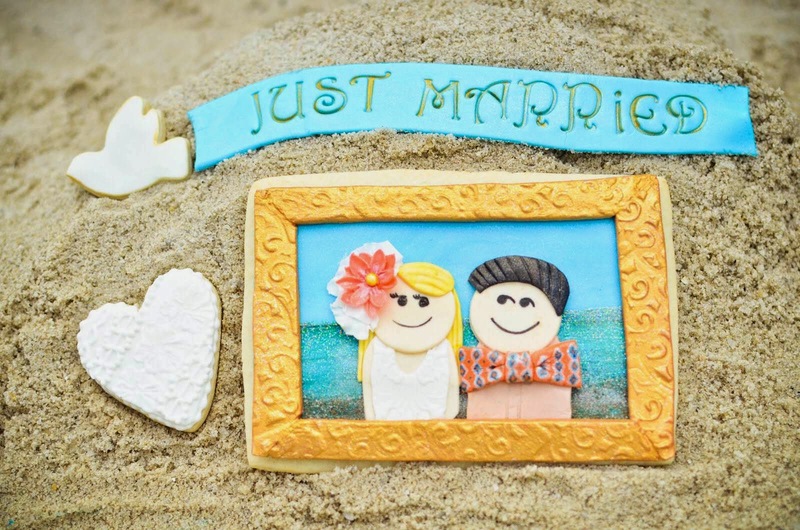 Award winning cake & cookie artist creating custom cookie favors and fondant toppers to transform your events. SookEe Designs is donating a $40.00 credit for anything in their shop. Requirements/Restrictions: Open to US/Canada only. 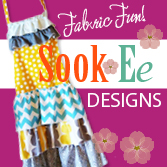 SookEe Designs adds ruffles, flair and a lot of pizzazz to everyday items for your children! From skirts and aprons to capes, bags and pillows, SookEE Designs creates a unique style mixing fun fabric and patterns for any personality or occasion. I love to inspire and love to be inspired! Check out my ideas or share yours for a custom order--one of my favorite ways to design! Sweeten Your Day is giving away 2 dozen cupcake toppers of customer's choice (approximately $50 value). Requirements/Restrictions: Ship only to US/Canada. Must redeem toppers by 12/31/14. Sweeten Your Day specializes in custom hand made edible fondant toppers for cakes, cupcakes, cookies and other treats for every occasion. 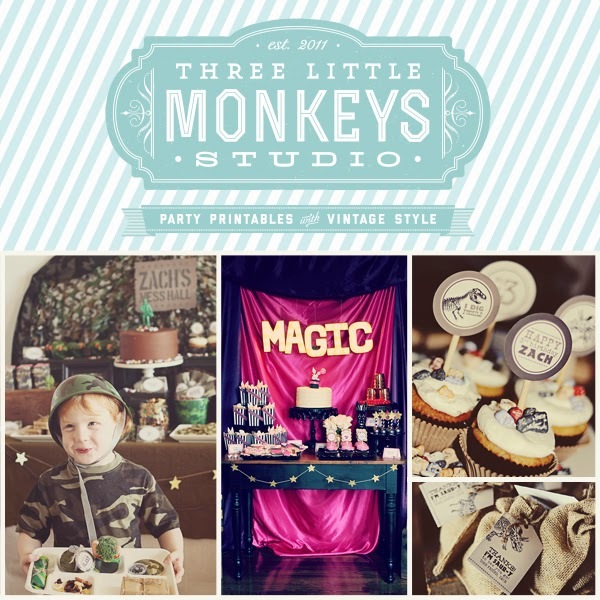 Three Little Monkeys Studio is giving away a $35 shop credit. Pretty My Party is donating a $25 shop credit to Etsy. Requirements/Restrictions: Ships to U.S. only. Store credit good for 6 months. Pretty My Party is your invitation to stylish celebrations. Find everything you need for your next party right here. Our blog features tons of wedding and party ideas. Our party shop includes modern and stylish party supplies for any event from wood utensils to stripey straws and pretty favor bags. 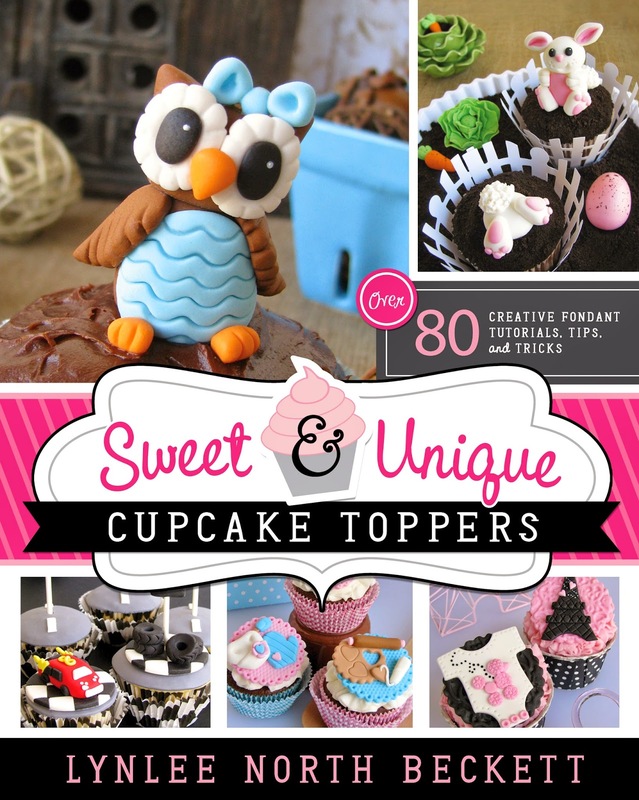 Lynlee's is donating a signed copy of Sweet & Unique Cupcake Toppers book (a $22.99 value). Requirements/Restrictions: Us/Canada shipping only. 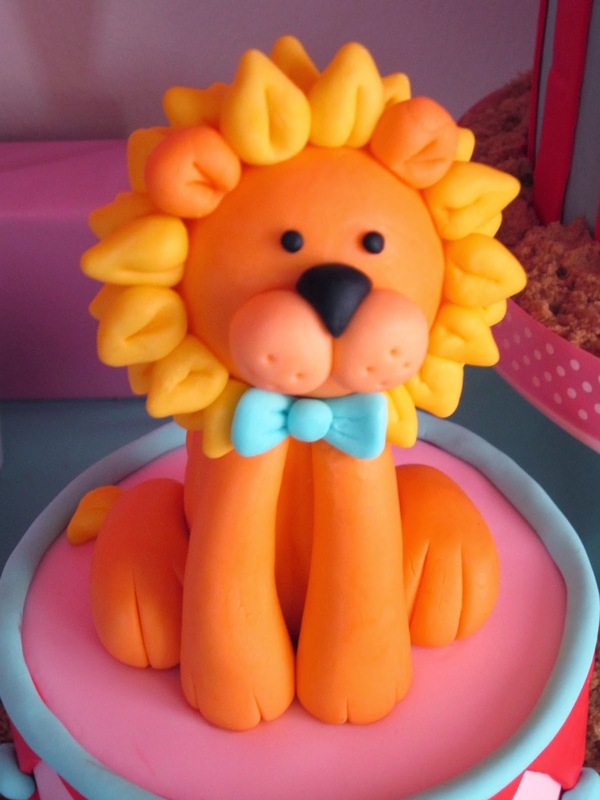 Lynlee specializes in providing fondant and party inspiration and tutorials via her blog at www.lynlees.com and is the author of the book Sweet & Unique Cupcake Toppers. 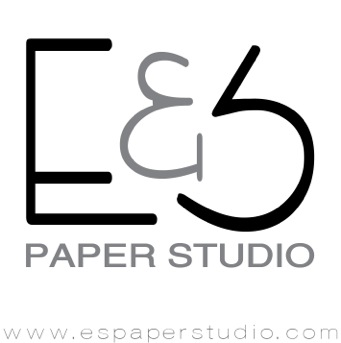 E&S Paper Studio: Party Styling. Custom Party Décor & Stationery. Dessert Tables & More. Natalee Nelson –Jamberry Nails Independent Consultant is giving away a set of 4 Jamberry Nail Wraps of your choice, plus your choice of Jamberry Application Kit w/out Oil, OR Jamberry Mini Heater! (Retail value up to $90!) Requirements/Restrictions: Ships to your address in US/Canada or Puerto Rico only! 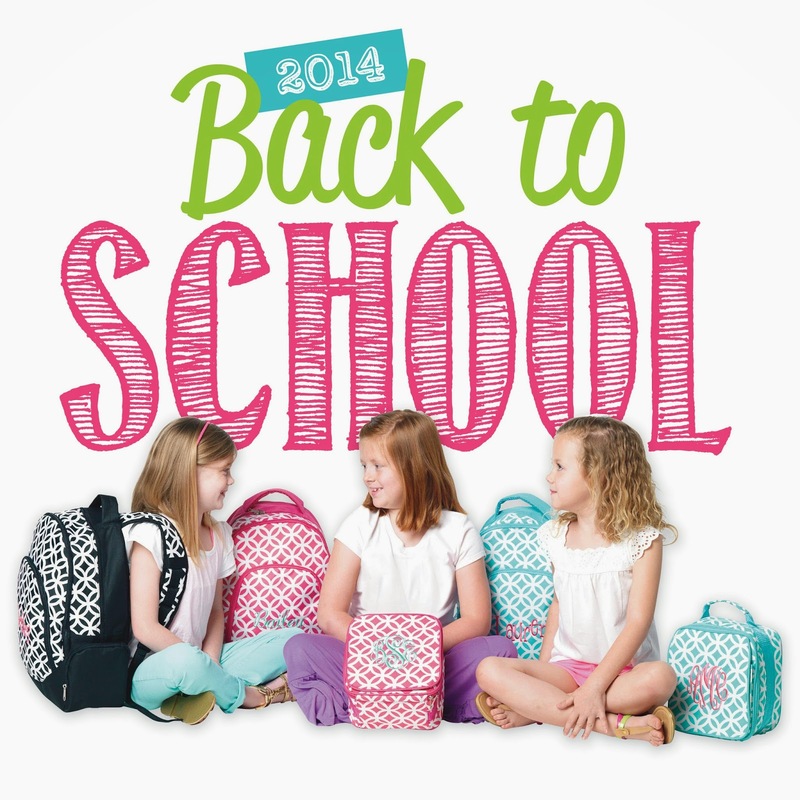 Choose your wraps and gift by August 31, 2014. Giveaway Wrap choices exclude licensed collegiate/sorority or NAS. Jamberry Nails are non-toxic vinyl nail wraps you put on top of your natural, acrylic, gel or shellac fingernails and toenails for at home nail art manicures and pedicures. There are 300+ designs from classic to crazy. Jams are loved for their no-chip, no-smudging that stay on up to 2 weeks on fingernails and up to 6 weeks on toenails! Gluten free. Latex free. Vegan. Made in the USA. DimplePrints is giving away a $35 shop credit valid on any existing invitation, party package and/or printable in the shop. Excludes: Custom a la carte items. 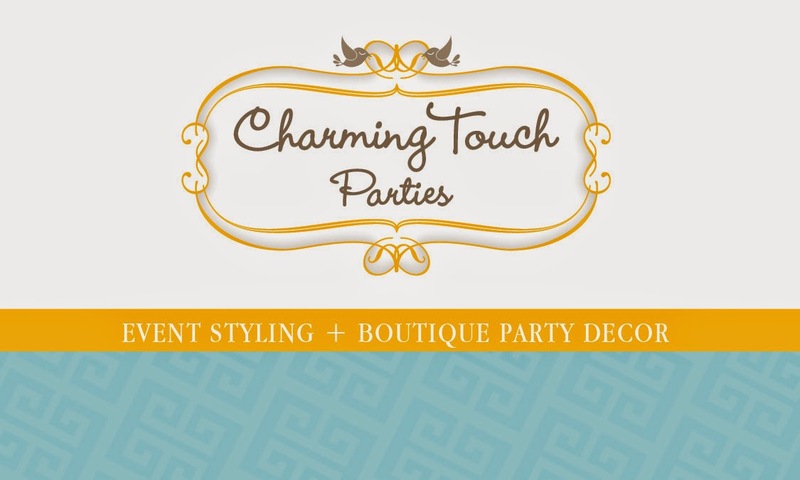 Charming Touch Parties is giving away a $50 shop credit. Requirements/Restrictions: Only ships to the Continental US. Charming Touch Parties, Event Planning, Party Styling and custom party decor. Based just outside of Chicago, IL. 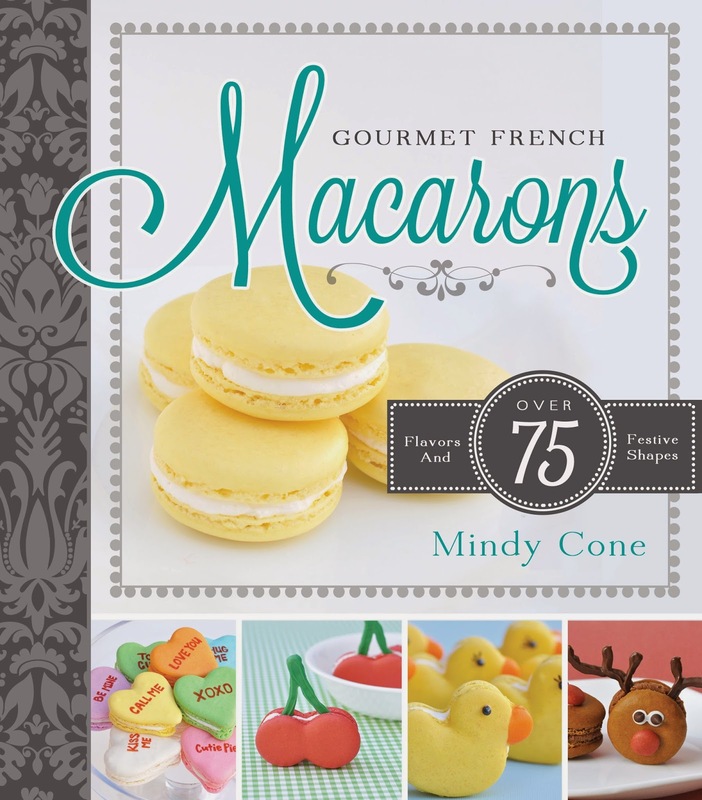 Creative Juice is giving away a copy of her books Gourmet French Macarons and Party Food For Girls ($45 value). Requirements/Restrictions: Only US shipping. Creative Juice is a source of inspiration to entertain your guests and kids with style and creativity! Easy ideas for entertaining in your home - tips, tricks, crafts, recipes, DIY and more! 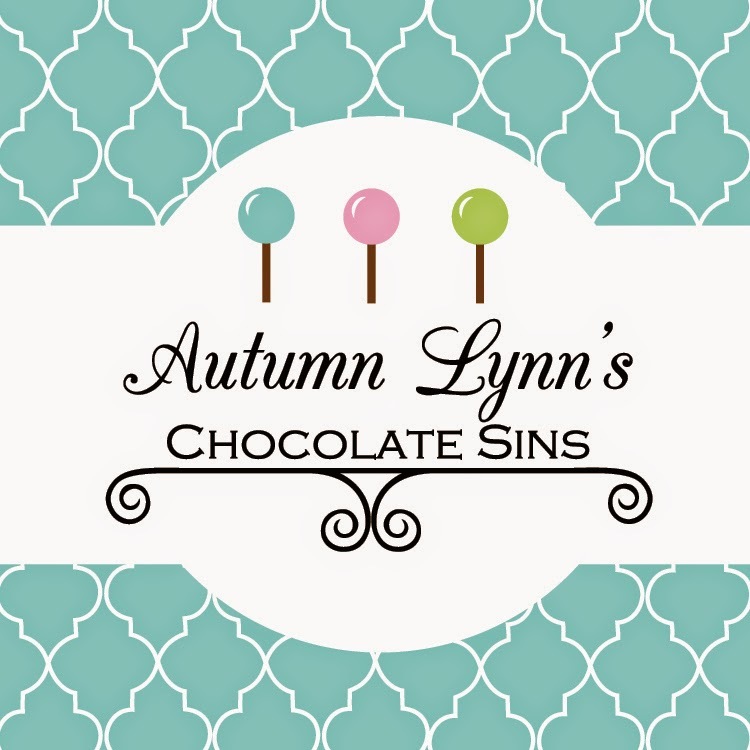 Autumn Lynn's Chocolate Sins is giving away a $35 shop credit. Requirements/Restrictions: Only US Shipping. Stay at home mom changing the world one cake pop at a time! Party Box Design is giving away a “Summer cocktail package”, 2 sets of drink flags + 1 set of water bottle or adult beverage labels. ($55 value) Requirements/Restrictions: US only. Must use within 3 months. 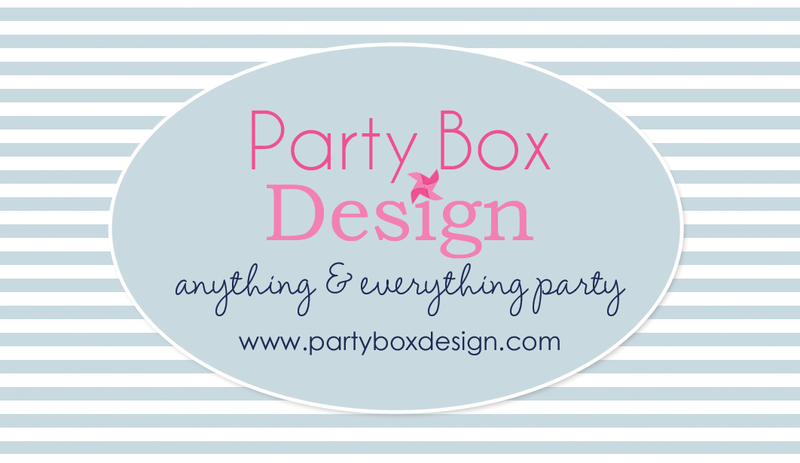 Party Box Design was launched in November of 2009 because I could not resist my desire to conquer the event design world any longer, one little cupcake at a time! Just kidding, well kinda… honestly, planning parties, hosting events and party decor is a passion- a true love. Twinkle Twinkle Little Party is giving away a $30 coupon toward digital printables available in their Etsy shop or 20% off on a complete custom party package.) Requirements/Restrictions: Excludes printing services and custom orders. 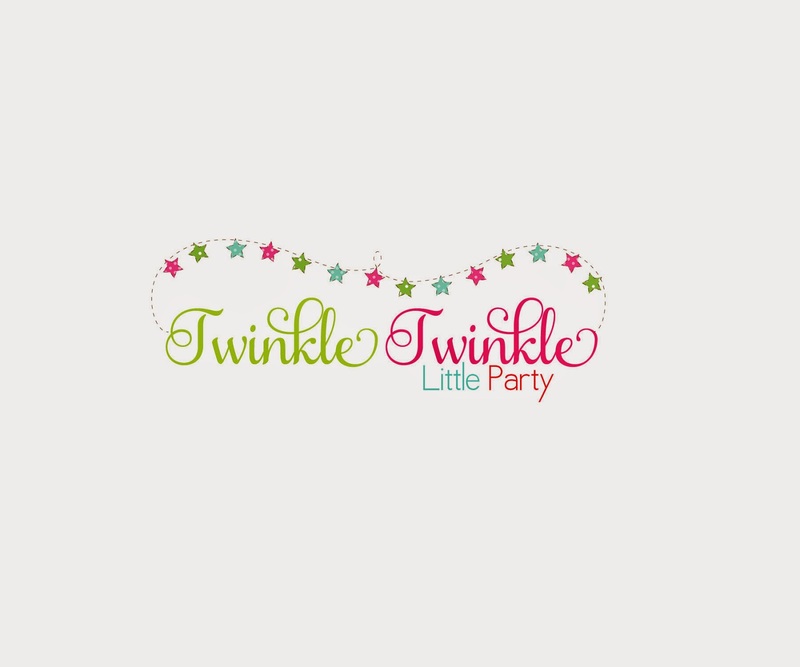 Twinkle Twinkle Little Party offers party styling services and also party printables for any occasion via our e-commerce website & Etsy shop. 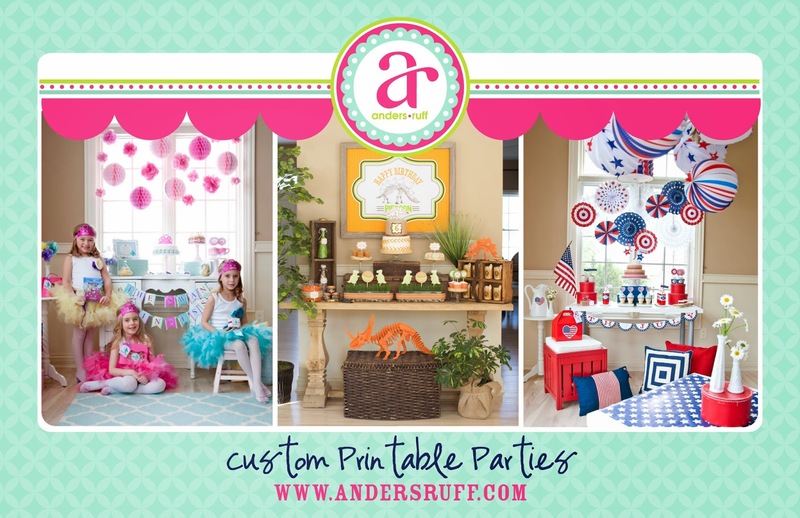 Anders Ruff Custom Designs is giving away a $50 shop credit to use towards printables. Anders Ruff is the go-to source for unique party ideas and coordinating printables to make your party fabulous! Bella’s Bakery & Bowtique is giving away 1 dozen custom chocolate covered Oreos ($50 value including shipping). Custom Chocolate Covered Oreos. Requirements/Restrictions: Only US/Canada shipping. Custom sweets for all occasions! 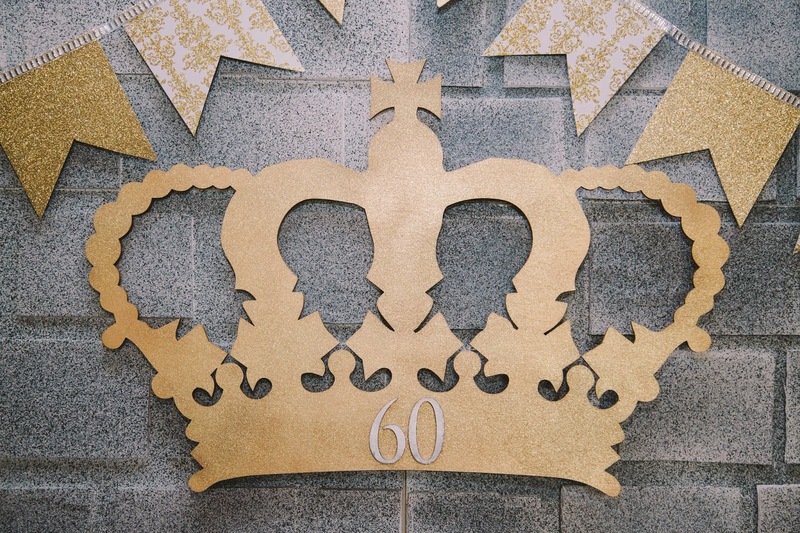 Paper + Pop is giving away a $50 shop credit for party printable printing. No restrictions. Paper + Pop offers expert printing, cutting and assembly for all your paper party details. Lillian Hope Designs is giving away one personalized package of choice from her shop and the Christmas, Halloween and Back-to-School themed standard packages. (A $65 value.) Requirements/Restrictions: This is only for the items currently in the shop. This is not for any custom design items. Must be used within a year. Katarina's Paperie is giving away a $30 credit towards their shop. Requirements/Restrictions: Printables are open worldwide, but any printed goods can only be shipped to the US. Katarina's Paperie is a paper design shop featuring a range of products for our littlest customers to enjoy. You'll find a variety of invitations, party décor and other whimsical fun. 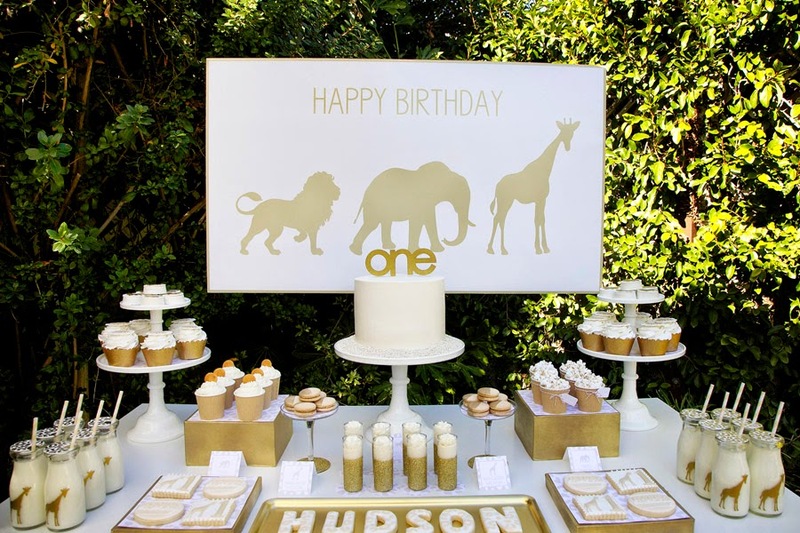 We are proud to offer our designs as printables or handcrafted creations to fit all your party's needs. Little Retreats is giving away a $50 shop credit with free shipping. 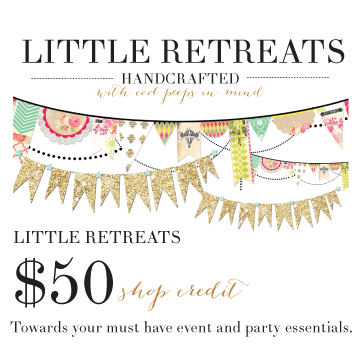 Little Retreats creates your must have party essentials for any event. 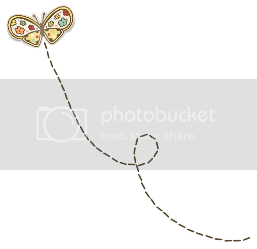 Rockin’ photo booth props, custom signage, favors, décor and so much more! Sweet Threads Clothing Co. is giving away a 3 month membership to their Holiday Skirt of the Month Club - 3 months of skirts themed for Halloween/Thanksgiving and Christmas. Winner will receive skirts in Oct/Nov/Dec. (A $36 value.) Requirements/Restrictions: US shipping only. Skirts will ship in Oct/Nov/Dec. 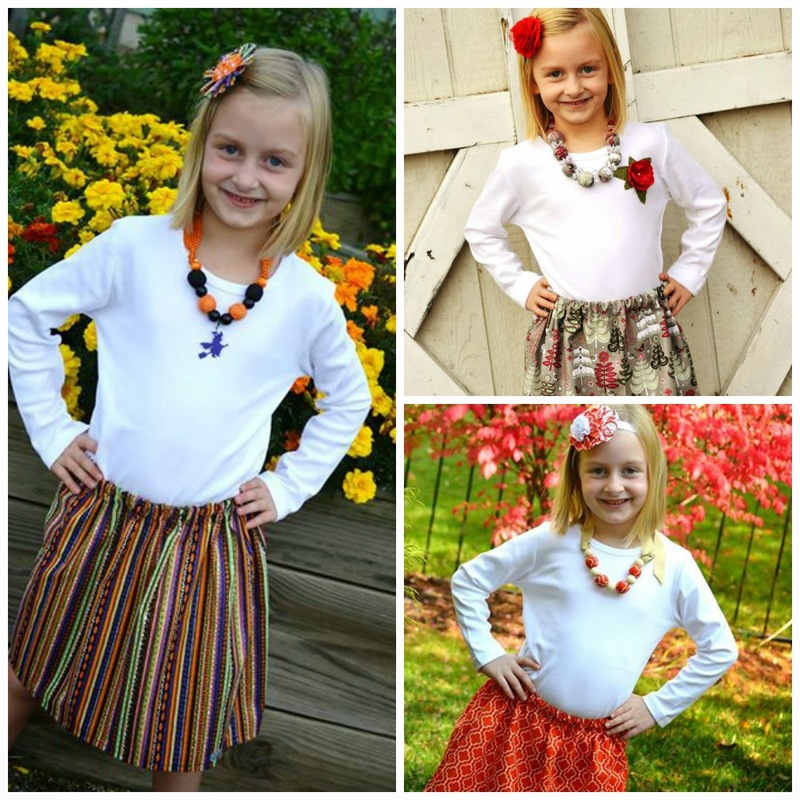 Sweet Threads Clothing Co is an online boutique specializing in children's clothing that's a little sweet, a little modern and always handmade. 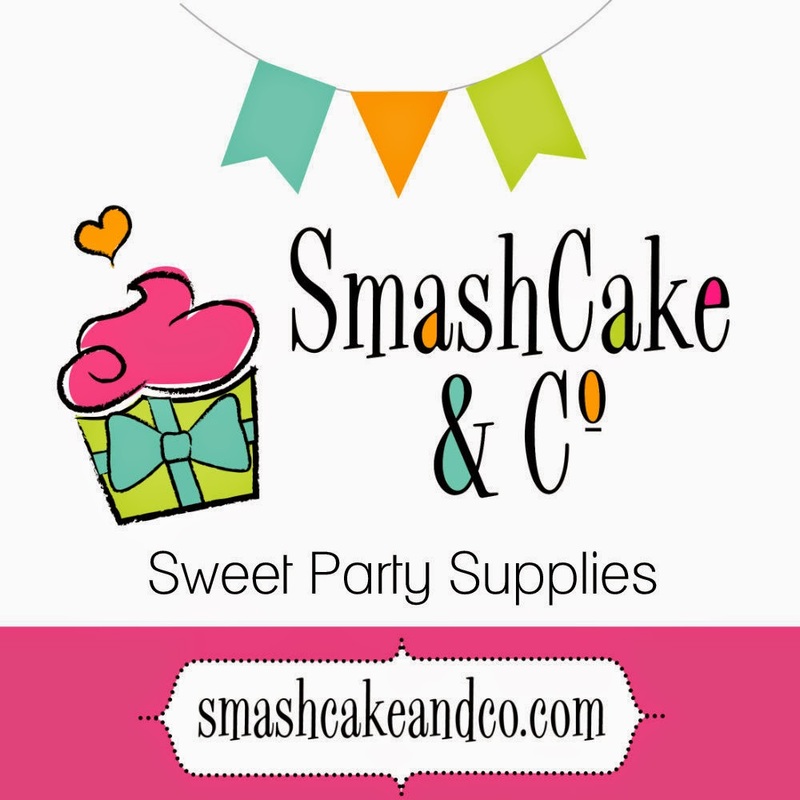 SmashCake & Co. is giving away a $50 shop credit. Requirements/Restrictions: Only ships within the US. Swish Printables is giving away a $50 shop credit. Requirements/Restrictions: Credit must be used in one transaction. Not transferable. 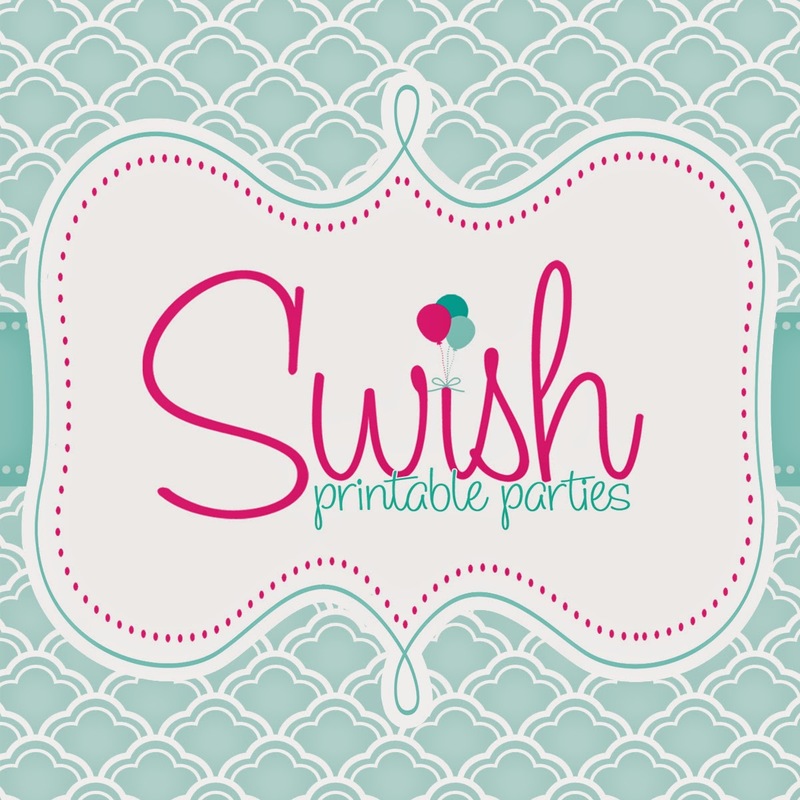 Swish Printables creates digital invitations and party goods for all of life's parties! Bloom Designs Online is giving away a $50 store credit. Bloom Designs Online is a daily party blog and pretty party store serving up ideas and products for making each day and celebration a bit more personal. 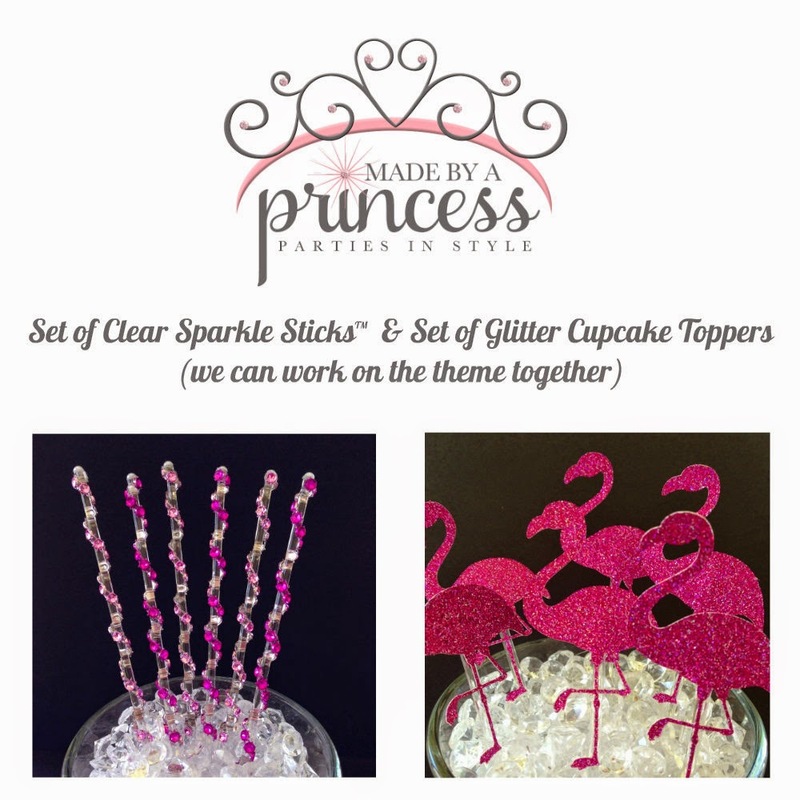 Made by a Princess is giving away a set of 12 Clear Sparkle Sticks™ and 12 Glitter Cupcake Toppers (will work with winner on theme and colors). (A $30 value.) Requirements/Restrictions: Free shipping within the US. International winners will be responsible for shipping. 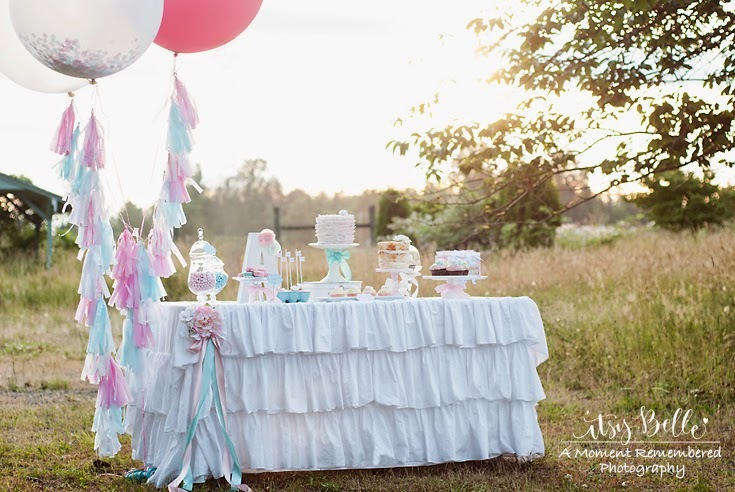 Made by a Princess Parties in Style specializes in party products for all occasions including baby and bridal showers, weddings, birthday parties and more. I offer a huge selection of shower games as well with many designs and colors to choose from to match your theme. 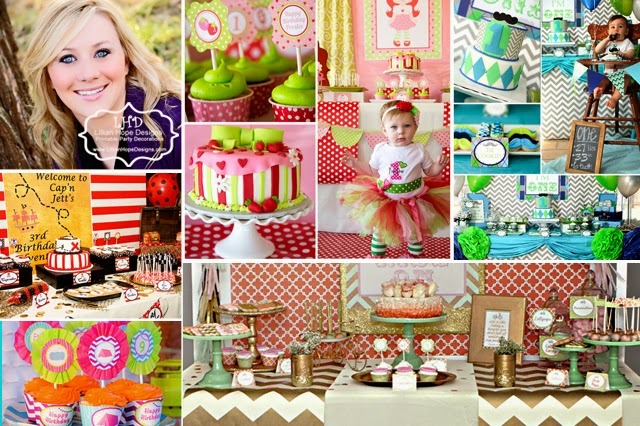 My blog is about sharing my passion with parties with everything from DIYs, recipes, tips, ideas, and photos from my own party collection & http://bit.ly/FrozenBirthdayParty. 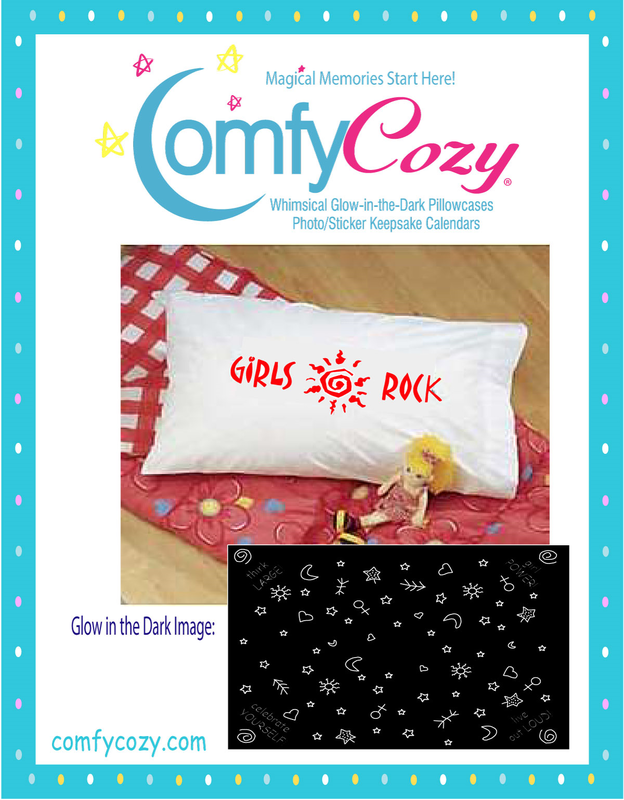 Comfy Cozy, Inc. is giving away a “Girls Rock” matching glow in the dark pillowcase and nightshirt. (A $44 value.) Requirements/Restrictions: US shipping only. Comfy Cozy creates magical glow-in-the-dark pillowcases for all ages! Our fun and functional line of products includes standard and travel/toddler size pillowcases in everything from whimsical to inspirational designs, plus the best selection of keepsake photo and sticker calendars you'll find anywhere! 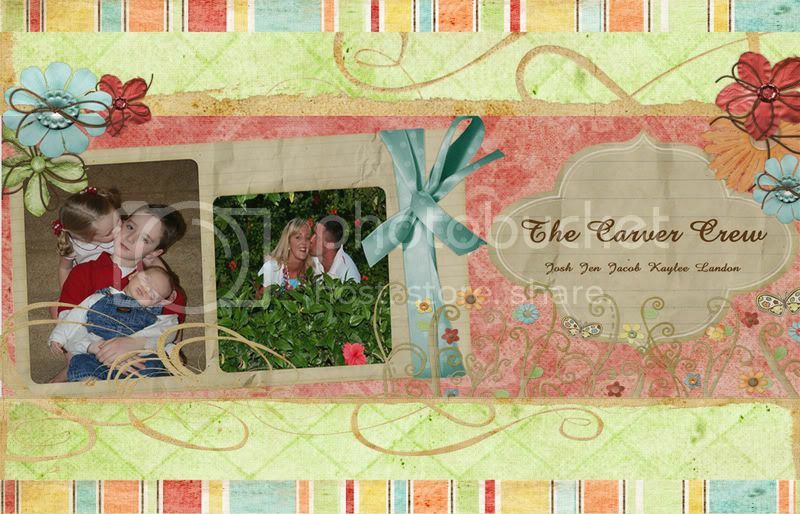 We also offer custom printing to coordinate with your party theme, family reunions, business or organizations. Sweets from Heaven is giving away one dozen CandyBobs (candy kabobs). (A $47 value.) Requirements/Restrictions: US shipping only. Sweets from Heaven is a bulk candy store located in Orange, CA. We specialize in all things candy! We have hundreds of different types of candy to choose from. This comes in handy when we are designing our candy kabobs also known as CandyBobs. We also offer catered candy buffets for birthdays, showers, and/or weddings. Hoopla Events is giving away a $50.00 gift certificate to their Etsy shop. Requirements/Restrictions: US/Canada shipping only. 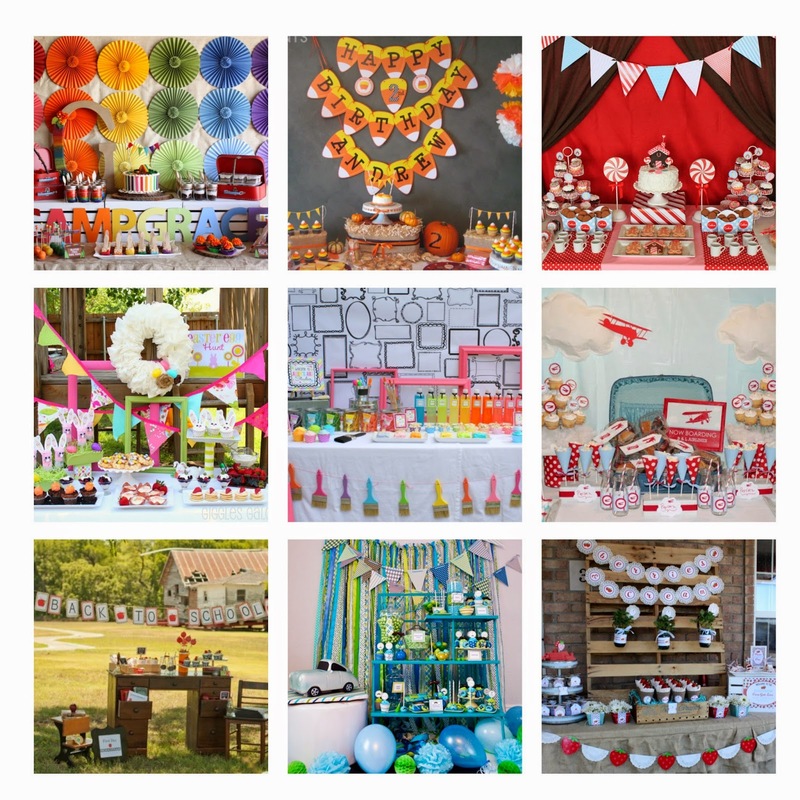 Hoopla Events is an event planning/party styling company who also sells trendy party supplies. We can help you throw that unforgettable party that you have always dreamed about! 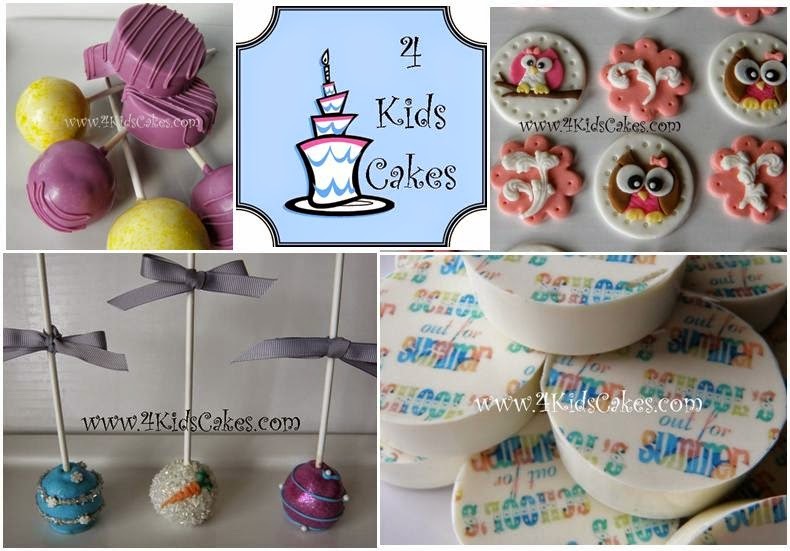 4Kids Cakes is giving away a $25 gift certificate towards the purchase of fondant toppers, chocolate Covered Oreos or cake pops. Requirements/Restrictions: US shipping only. A custom cakery - offering custom cakes, fondant work, custom oreo's, sugar sheets, cake pops, french macarons, and more! Dime Party Diva is giving away a $30 credit to The Pretty Party Shoppe. Requirements/Restrictions: US shipping only. Dime Party Diva is blog that features fun parties, crafts, recipes and tutorials. We give tips & tricks on how to throw a party on a budget! 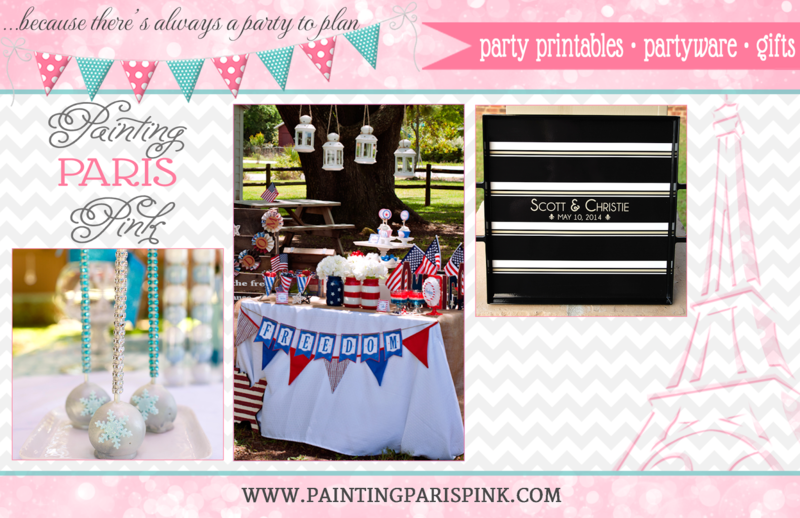 You can find our party printables and paper supplies in our online shop, The Pretty Party Shoppe. Itsy Belle Studio is giving away a $25 shop credit. Requirements/Restrictions: Valid on Printable files only, no printed orders. Must be redeemed within 1 year. Winner must remain a fan of Itsy Belle's page(s). Itsy Belle's pretty + preppy party Paperie makes life's little celebrations into one of a kind events. We are a design studio specializing in party paper & home décor. Everything for the event planner & stylist on a budget: invitations, signs, banners, toppers, tags, thank you notes & more. Birthdays became more special after my daughter's successful bout with cancer. My kiddos are grown so while I wait on grandkids of my own I can help others make their day memorable. So far we have been so blessed to be a part of celebrating with more than 5.000 people through our little birthday shirts. Nothing makes me happier than the smiles of kiddos and to hear back from a mom who said her child, "Stands at the dryer waiting on the shirt to be done so he can wear it again." The memories we make matter. We build memories. 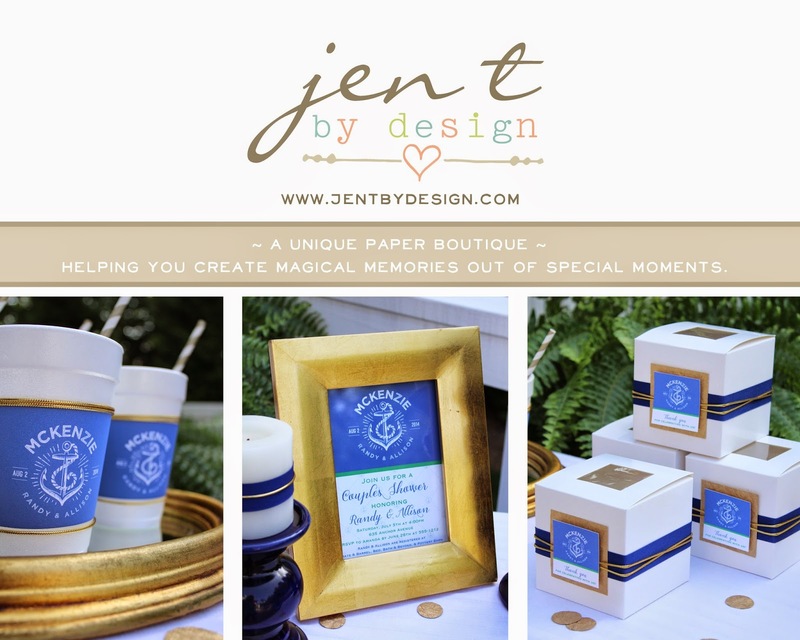 Jen T. by Design is a paper boutique specializing in stylish invitations and printable party décor. We know that finding the perfect invitation is just the first step in planning an amazing celebration, so we provide you with the accessories and inspiration to help you transform life's special moments into magical memories. 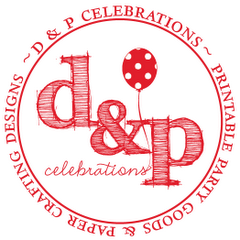 D & P Celebrations is all about bringing your party together just the way you imagined! We have all different types of digital party supplies available in our Etsy shop and are always up for the challenge of a custom design. Oh My Cake! 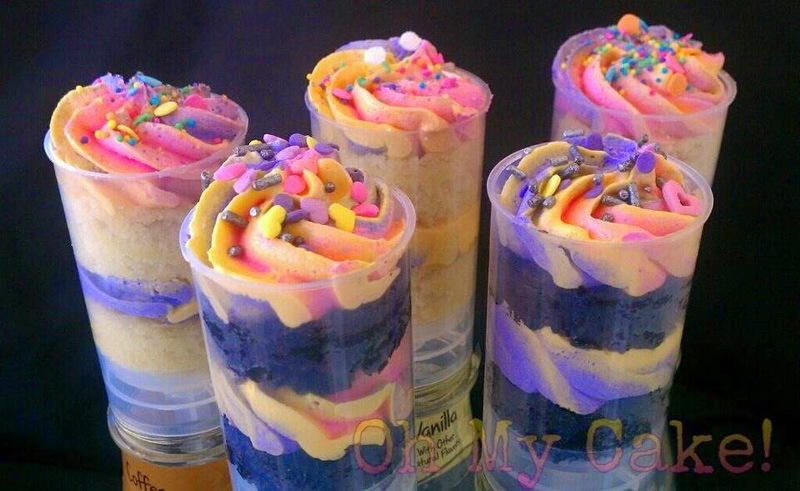 Bakeshop is giving away1 dozen 'Little Layers' (cake push pops), chocolate OR vanilla. (A $54 value.) Requirements/Restrictions: US shipping only. Oh My Cake! Bakeshop specializes in custom cakes, cake pops, cupcakes, cookies, chocolate dipped strawberries, gourmet apples and more! Fancy & Fold is giving away 1 6 ft. Christmas Circle Garland made from Christmas paper in traditional colors. (A $22 value.) Requirements/Restrictions: US/Canada shipping only. Fancy & Fold offers handmade paper party supplies, giant flowers, calligraphy and personalized cake toppers. 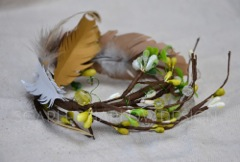 Scarlet Harlow Design is giving away 1 sweet handmade woodland fairy crown or frozen crown. (A $22 value.) Requirements/Restrictions: US shipping only. Printmy (printmypictureonline.com) is giving away a $50 credit toward party printables. Requirements/Restrictions: US shipping only. PrintMy was started after Erica, the owner, was seeking a source to print her own photography pictures from family trips, special events and the world around. Being an amateur photographer she did not have access to the “pro printing labs” but felt strongly that her work (and yours) deserved better than a pharmacy quality print. Now the business has grown, and they are your printing partner in the process from selecting the perfect print substrate to selecting the ideal size. Regardless of whether you are looking for 1 print or 100, you can trust their family with yours! 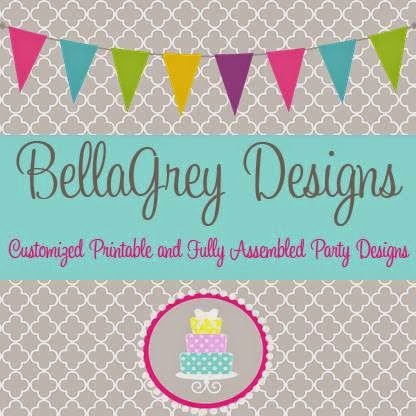 BellaGrey Designs is giving away a $50 shop Credit to be used on printables only. 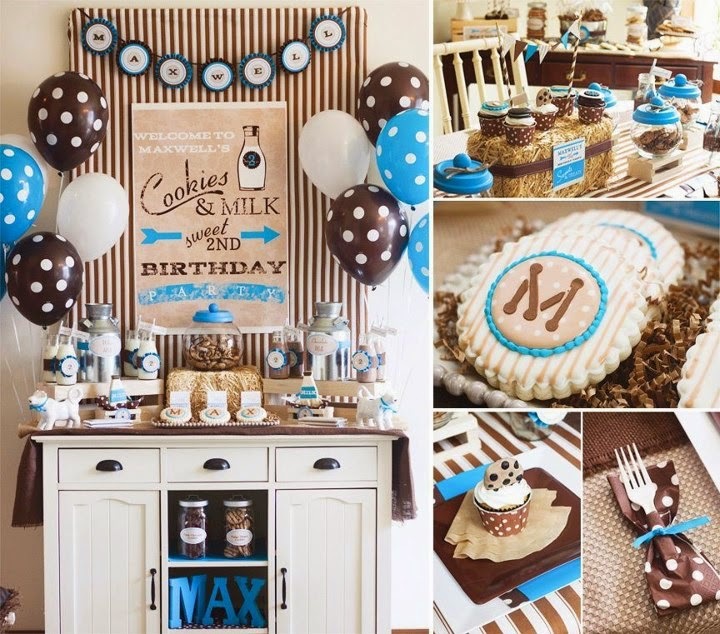 Your source for both fabulous customized PRINTABLE and FULLY ASSEMBLED party designs! Where imagination, inspiration and celebration come together to create Birthday and Party Invitations, Cupcake Toppers, Banners, Food Labels, Welcome Signs, Favor Tags, Party Circles and more. We have everything you need to make your party special! 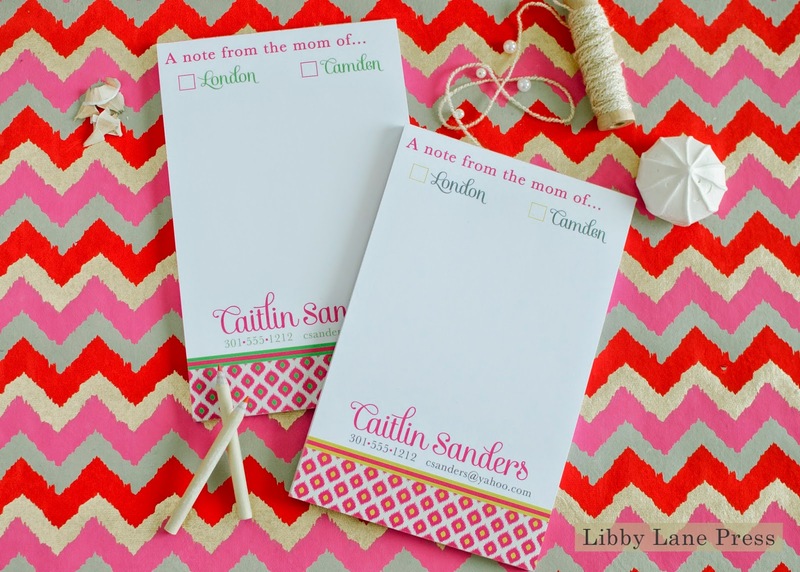 Libby Lane Press is giving away one 5.5" x 8.5" “From the Mom of” Notepad with personalization. (A $17 value + shipping.) Requirements/Restrictions: US shipping only.No more than 5 children can be listed per pad. Libby Lane Press creates paper + products that celebrate the adventure of being a child... and the art of being a parent. The original designer of the popular "From the Mom of..." notepads is thrilled to offer a chance to WIN a FREE personalized notepad to one lucky winner! 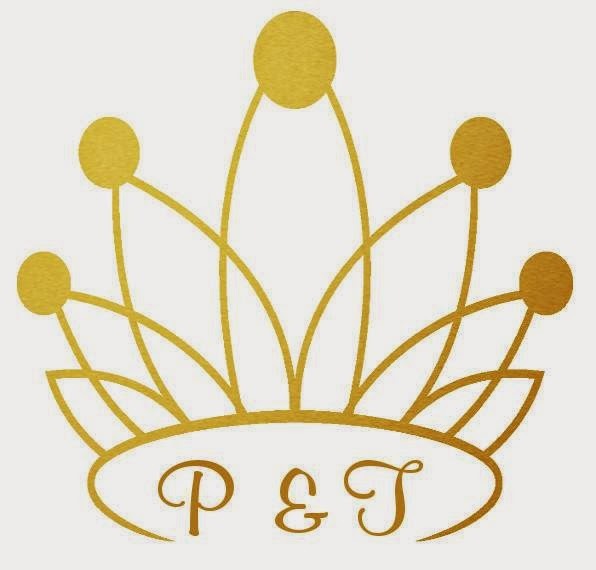 Princesses & Tiaras is giving away a $50 shop gift certificate. Requirements/Restrictions: Shop ships only to USA & Puerto Rico. Not redeemable for cash. Certificate valid for one year. Princesses & Tiaras is an enchanting party and event resource that combines the real world of parties, events and style with the magical world of princesses, dreams and fairy tales. The Royal Celebration Zone! 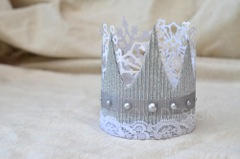 Girly Party Ideas and lots of glitter for your princess party or event! Painting Paris Pink is giving away a $40 shop credit for digital items only & 1 dozen Shimmer Sticks (A $52 total value.) Requirements/Restrictions: Shipping of Shimmer Sticks to US & Canada only. Because there's always a party to plan. We make party printables, partyware & gifts for all of your party needs. Michelle's Party Plan-It is giving away a $50 shop credit for product and shipping costs. Requirements/Restrictions: US shipping only. 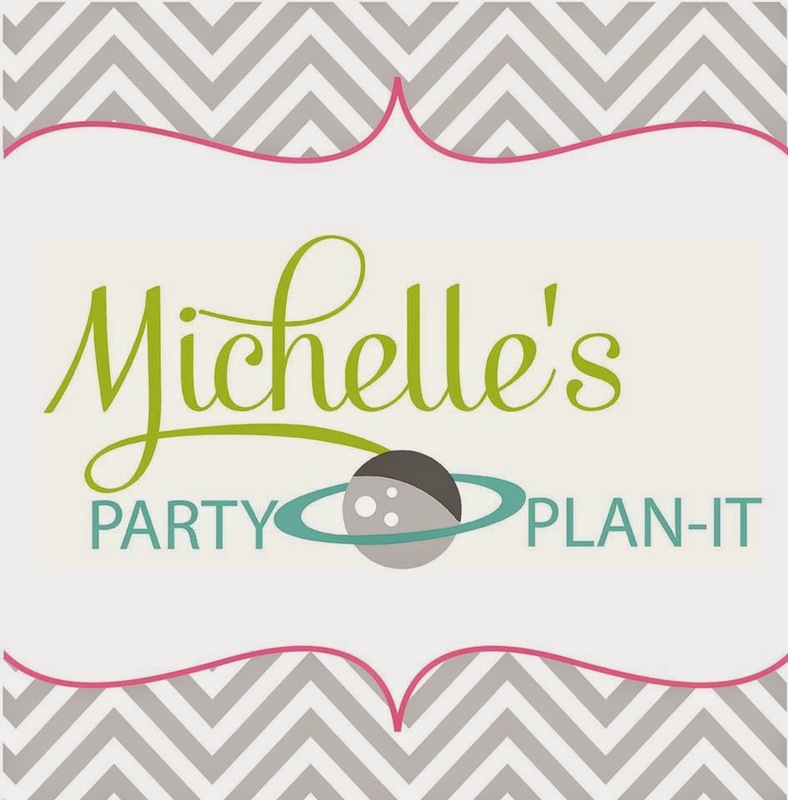 Michelle's Party Plan-It is a blog and shop specializing in fun party essentials and inspiration for all occasions! 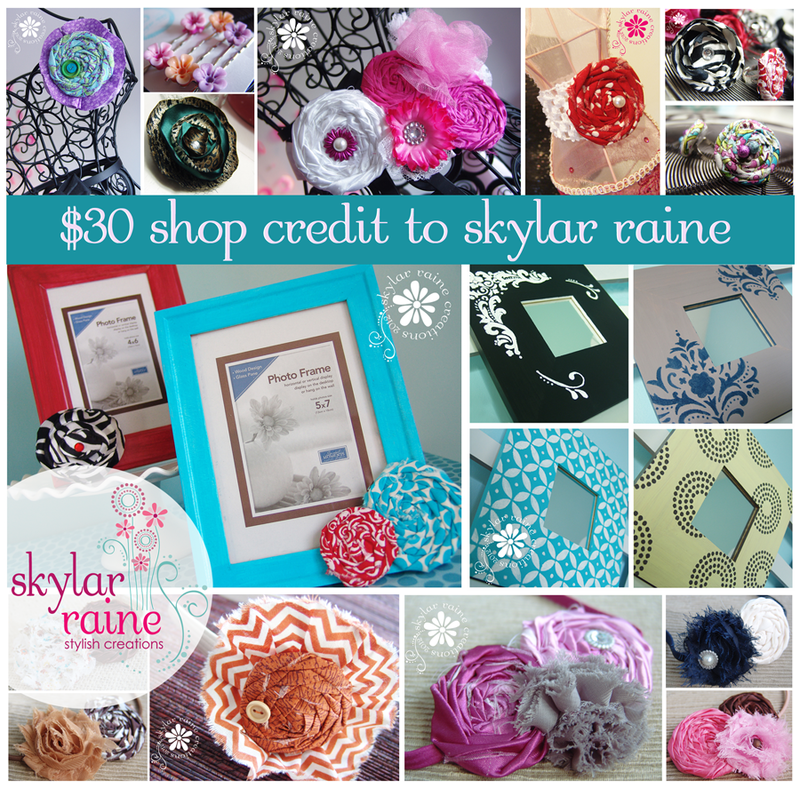 Skylar Raine is giving away a $30 shop gift certificate. 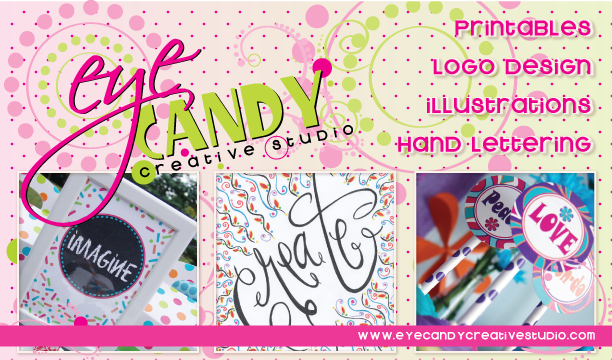 Eye Candy Creative Studio is giving away a $50 shop gift certificate. Petite Party Studio is giving away a $50 shop credit. Requirements/Restrictions: Shipping not included. From darling printables to colorful party decor, we have all of the supplies to make your next occasion fabulous! Ten23 Designs is giving away a $20 shop credit. Requirements/Restrictions: Credit does not apply towards shipping costs. Ten23 Designs creates custom event decor elements to coordinate with your theme or style. Custom cake toppers, backdrop signs, vinyl decals and centerpiece props are just some of the popular and stylish items we can provide. Do you want to start your own small Party Planning business but need some help getting started? Well, this new Ebook is just what you need. Tonya is sharing DETAILS on her party planning business including all the insider secrets to how her business remained profitable. 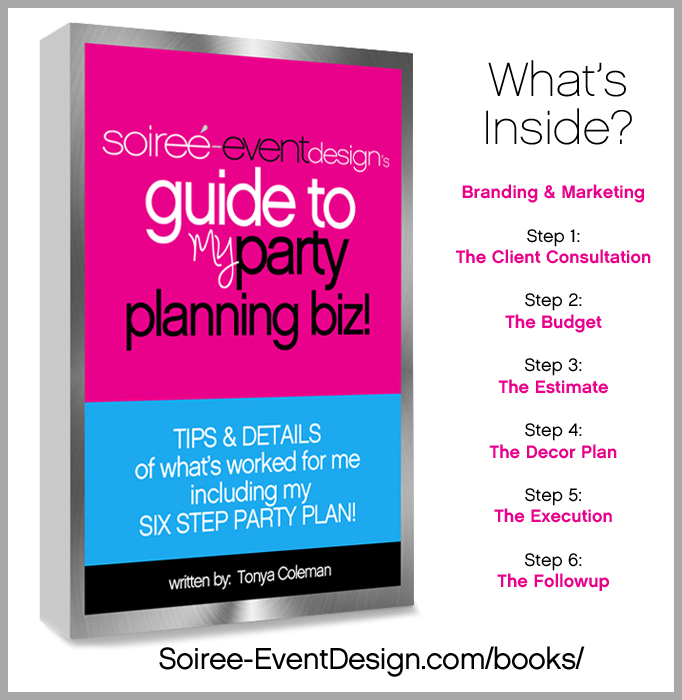 This book is full of info most party planners won't tell you. 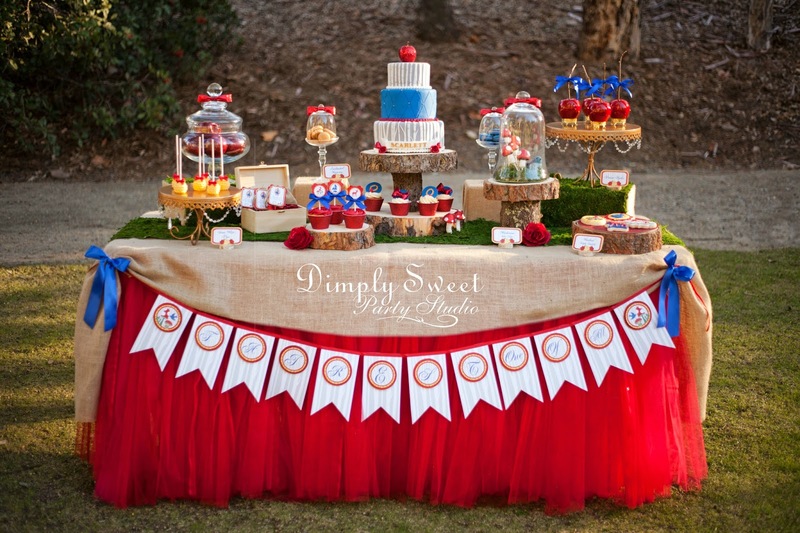 Dimply Sweet is giving away their stunning Snow White banner or a birthday banner of choice. (A $41 value.) Requirements/Restrictions: US Shipping only. Dimply Sweet offers event styling services for our local clients. For those out of town clients, our studio "Dimply Sweet Studio" offers "Designer Pretties", shipped to your doorstep. 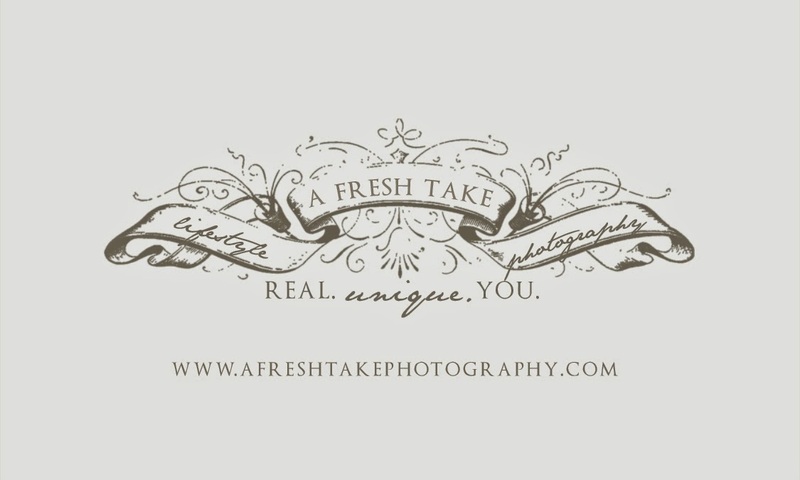 A Fresh Take Photography is giving away a $20 Target gift card. We are a boutique photography company that specializes in styled portrait sessions. We love to photograph events, weddings, parties, commercial products and most of all children! 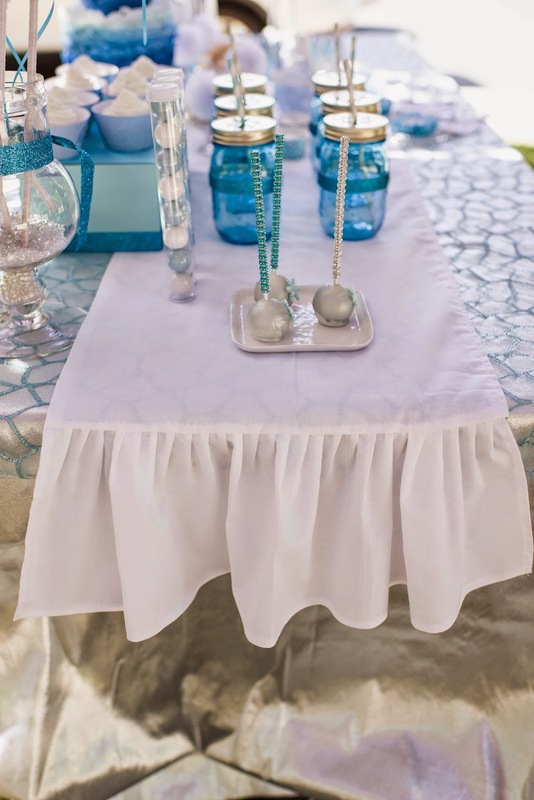 Ella and Annie Magazine is giving away 1- 6 ft. white ruffled table runner. (A $50.05 value.) Requirements/Restricts: US shipping only via a flat rate envelope. Ella and Annie Magazine: Parties-Food-Style: This unique publication will invite you into the world of parties, food and style one issue at a time. It was named after my beautiful daughters, Ella and Annie. It was very important for us to create a "useful" magazine; complete with craft tutorials, trendy, yet affordable style and comfort food recipes you can use for years to come. Rachel Krugh Rodan + Fields Independent Consultant is giving away 4- $20 gift certificates + 4 mini-facial packets ($100 total value). Rodan + Fields: Changing Skin, Changing Lives. Rodan + Fields® Dermatologists is changing skin and changing lives by partnering with independent business owners across the United States to redefine the future of aging. Founded by world-renowned dermatologists Dr. Katie Rodan and Dr. Kathy Fields, the creators of Proactiv® Solution, Rodan + Fields' patent-pending MACRO Exfoliator™ and AMP MD™ System make real results possible at home without injections or other invasive procedures. Named the 2010 Rising Star by the Direct Selling Association (DSA) for its dedication to achieving a high standard of excellence in business operations, and awarded numerous awards for business campaigns and products, Rodan + Fields is the anti-aging company to watch. I would be most happy to win any of these wonderful prizes! I would love to win the Banner Events prize to help make my daughters first birthday very special. I would love to win any of the prizes that involve paper party supplies or sweet treats! This is an awesome giveaway! Can't wait to see who the winners are! Everything is awesome! I think a lot of these things could be used for a baby shower too! My niece is having twin boys in Nov. Thanks to all Vendors! I would Love to win any of the printable prizes! Love the great prizes! I'll be grateful to win any prize. Thanks for the chance! Got here through Anders Ruff, but they are all great prizes! What an amazing giveaway! ♡ ! I would love to win any/all of them! I could really use the :Oh My Cake! Bakeshop is giving away1 dozen 'Little Layers' (cake push pops), chocolate OR vanilla. for my daughter's birthday party in a month. I would be happy to win any of the prizes-they are all wonderful! I really hope I win, I want to make my best friend's bridal shower FABULOUS. I would love to win any of these prizes as I'm in the process of planning my daughter's 2nd birthday party and a baby shower! I would love to win any of the prizes! I love a cute party! I've had my eye on something from Ten 23 Designs for a while...but all prizes here are great! Such a awesome giveaway....I would looove to win Jamberry Nails or Lynlees Book!! Honestly I'd be over the top happy to win anything!! Again, I am not sure which I hope to win! They are all good prizes! What a FABULOUS giveaway! 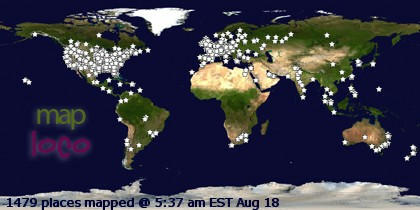 Thank you to all for. Good luck to everyone! Books! Backpack or store credits! Love them all! I would LOVE to win any of these amazing prizes but I'd love to win the Smashcake and CO for some classroom decor (their wrapping paper is amazing!!) and I'd love to have something made by Anders and Ruff. And a hoopla Events gift card would be a nice topper for some great party supplies from their etsy store!! Rachel Krugh Rodan + Fields Independent Consultant 4- $20 gift certificates + 4 mini-facial packets is my favorite prize but I love them all! I would love to win any of these amazing prizes!!! Wow- amazing giveaway! I'd love to win the chocolate covered Oreos though to be honest, I'd be very happy with anything!!! Such wonderful prizes. Crossing my fingers! What a fun giveaway!! i would be happy to win any of these gorgeous products! i am slowly building my photography/party planning business in Seattle.. You've put together a great mix! Great giveaway, Jen! 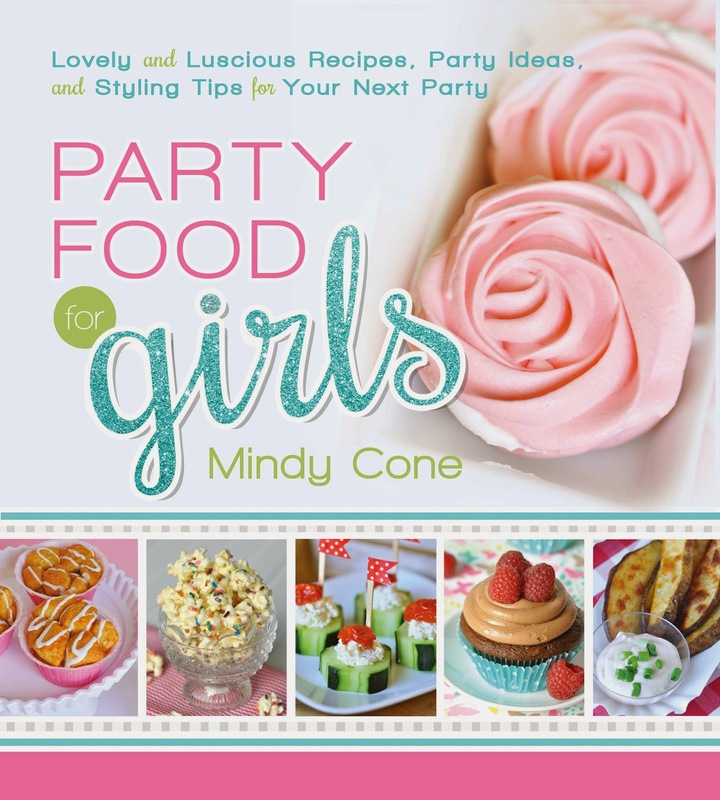 Would love to win Mindy's books! I would love to win any of these fabulous products! I always have some event coming up that I could use them for! So many wonderful choices. Definitely would love to win something sweet!